And like a delicate tapestry, Laurinda Wallace gently weaves a story of women who are drawn to face the reality of their past that seems to intricately entwine with not only their present but their future. They begin to see that God orchestrates things in His time. The Master weaves His will that is often so different than our own. The sisters realize that running or ignoring their fears does nothing to resolve the pain and heartache. Ms. Wallace has created characters anyone can identify with and circumstances that everyone faces day in and day out. She doesn’t shortchange the readers with easy answers and happy-ever-after solutions. Rather, she shows the reality of life. It’s often not fair, many times overwhelming, and never predictible. This is a novel of family coming to terms with their imperfect past but accepting each other with unconditional love. They rediscover the good memories of childhood and realize this, along with loving parents, is what has brought them to this point in their lives. And it is this foundation that provides the strength each of them needs to face the challenges that await them. enemies closer.” In this rural Western New York town, it may be hard to tell the difference between the two. Before his untimely death, Gracie’s uncle leaves her the remnants of her cousin Charlotte’s brief life casting shadows on how the 17-year-old died. Was it hit-and-run or was it something else. After 20 years, clues are hard to come by and suspects are even fewer. But Gracie, trying to do the right thing, seems to be putting herself in the wrong places at the wrong times. an ambience that contradicts the mystery surrounding an “accidental” death. 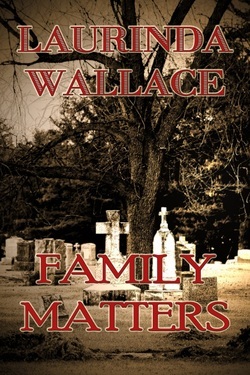 The characters and suspense you’ll find in “Family Matters” will cause late nights until secrets are revealed and the mystery is solved. It’s good to know that this is the first in the “Gracie Andersen” series. Getting to know Gracie’s tenacity and loyalty, along with the heartaches she faced in the past, will leave readers anxious for the next book. 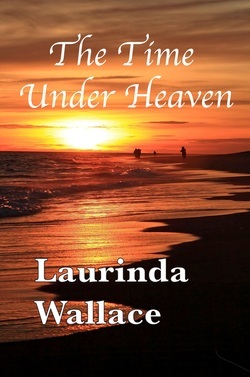 Visit Laurinda's Web Page for more good reading.